Burning Ambulance’s week-long countdown of the year’s best jazz albums continues with the first half of the top 10. Here we go! 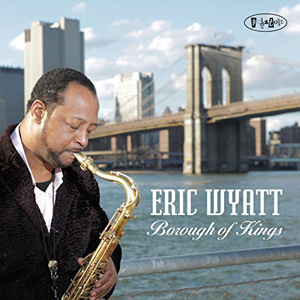 Eric Wyatt looks like a cross between Forest Whitaker and the Simpsons character Bleeding Gums Murphy, and his music is swinging, bluesy hard bop, straight out of the 1960s. On the majority of Borough of Kings, he’s joined by pianist Benito Gonzalez, bassist Ameen Saleem, and drummer Shinnosuke Takahashi. A few guests appear as well—Kyle Poole takes over the kit on the surprising “Can He Come Out,” which also features Duane Eubanks on trumpet, and Wyatt playing an electric saxophone; and Clifton Anderson plays trombone on the album-closing “What Would I Do Without You.” Anderson makes a great foil for Wyatt; their interactions sound like two lifelong friends telling stories they both know already, but which still make each other laugh. Wyatt is a terrific, powerful saxophonist who deserves much more attention than he’s gotten to date. For people to start thinking of him when they hear the phrase “Brooklyn jazz” wouldn’t be a bad thing at all. Tenor saxophonist Tom Tallitsch has put together a tight, empathetic band for his second Posi-Tone CD. 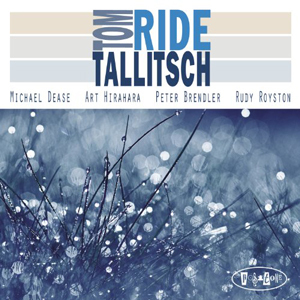 Ride features nine originals and two covers—David Bowie‘s “Life On Mars” and Led Zeppelin‘s “Ten Years Gone”—performed by trombonist Michael Dease, pianist Art Hirahara, bassist Peter Brendler, and drummer Rudy Royston. Tallitsch’s music is easy to like; the melodies are strong and memorable, the rhythms steady and energetic, and the solos are extrapolations, rather than drop-everything fits of improvisatory excess. The opening title track is built around a simple, clarion-call hook that sounds like something John Coltrane might have written in 1959. This eruption is followed by the patiently explored “Life On Mars,” on which barely any amendments are made to the melody—it’s so hooky and strong, it almost seems designed for radio play. The version of “Ten Years Gone” is less reverent; the band takes the simple, crashing blues chords as a framework for some impressive soloing. 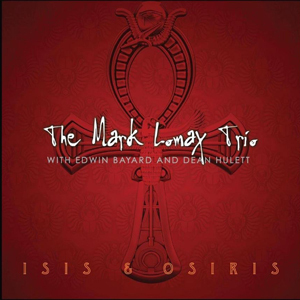 Drummer Mark Lomax’s second album with tenor saxophonist Eddie Bayard and bassist Dean Hulett is intended to present African mythological and spiritual themes in the same heroic manner ancient Greek and Roman myths have been transformed for movies, music and literature. What that means for a listener is an album of epic, questing, dark-toned jazz. Six trio pieces are broken up by four solo interludes (one each for Bayard and Hulett, and two for Lomax). The drummer’s use of toms can be ominous at times; he’s trying to build drama, and succeeding. Bayard’s playing is reminiscent of John Coltrane or Joe Henderson circa 1964, his tone ringing as sharply as Lomax’s snare and his phrases incantatory and as focused as a boxer’s glare from the corner, before the ringing of the bell. This is music with gravity, seriousness of purpose, and real emotional power—through collective improvisation, these men aim for inspiration and uplift, and they get there. Alto saxophonist Sarah Manning‘s fourth album, Harmonious Creature, is jazz with elements of hillbilly music, Jewish music, modern classical, and more. It’s a powerful statement from a composer confident in her own voice and wise in choosing collaborators to realize her ideas. 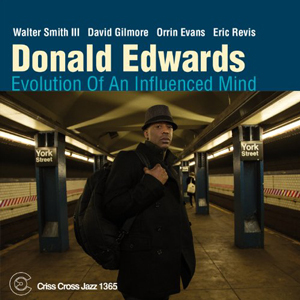 Manning’s patient, thoughtful phrasing—reminiscent of Charles Lloyd—is matched on the album (which contains eight originals and covers of Gillian Welch‘s “I Dream a Highway” and Neil Young‘s “On the Beach”) by Eyvind Kang‘s droning, precisely tuned viola, with guitarist Jonathan Goldberger, bassist Rene Hart and drummer Jerome Jennings keeping things rock steady, whether they’re swinging hard on the fiercely boppish “Floating Bridge,” or gently swaying on “What the Blues Left Behind.” Instrumental tone is crucial to the music on Harmonious Creature. Manning has an affinity for long notes and slowly unfolding phrases, and a mellow, caramel-like sound. Everything coheres in a clean and organic manner—no one’s drowned out or overmatched.